If you're looking for an alternative to a minivan or an SUV, look no further than the surprisingly roomy and fun-to-drive, 2018 FIAT 500x crossover! Featuring Italian style and excellent fuel economy, the 2018 FIAT 500x comes in 5 models to choose from including POP, POP Blue Sky Edition, Trekking, Urbana Edition and Lounge. Test-drive your favorite today at Southern FIAT of Norfolk in Norfolk, Va. Always fashion forward, the 2018 FIAT 500x features a classic Italian design, superior levels of comfort and a surprisingly roomy interior despite its small stature. Inside the 2018 FIAT 500x, drivers can opt for available leather upholstery, heated seating, advanced technological features and more. Choose your preferred level of luxury when you select the model that's right for you. 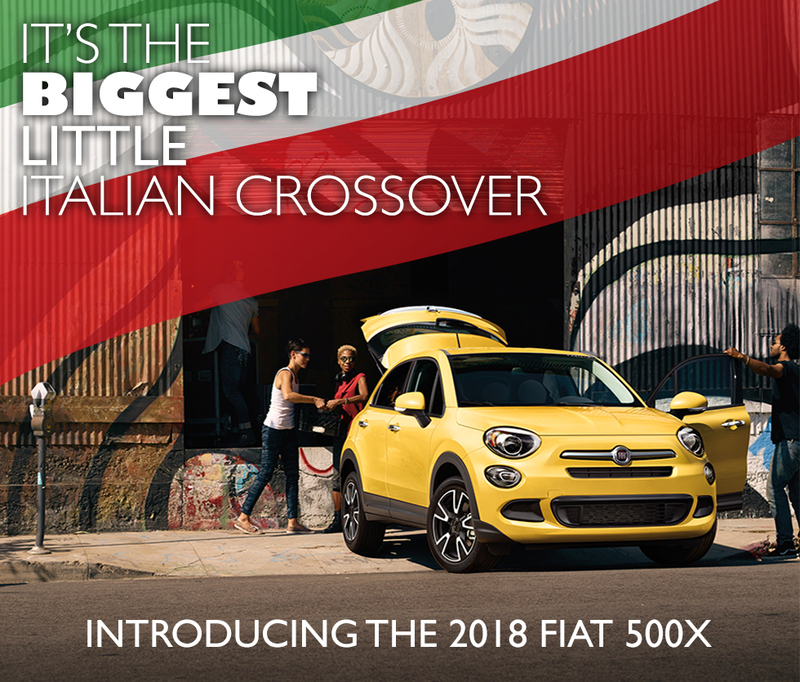 Whether you choose the POP, Trekking or any other trim from the FIAT 500x lineup, buying your 2018 FIAT 500x at Southern FIAT of Norfolk is always a great choice.That's because our Southern Hospitality Buyers Program is designed to save you thousands more over the lifetime of your car purchase or lease; all at no additional cost to you! For a modern crossover that offers classic Italian styling, exceptional fuel economy and safety features that are designed with you in mind, it has to be the 2018 FIAT 500x. Experience the FIAT 500x with a test drive at Southern FIAT of Norfolk in Norfolk, Va.We proudly serve drivers from Norfolk, Virginia Beach, Chesapeake, Portsmouth, Newport News and the surrounding areas.